Lenovo’s first wearable may never launch in the United States, but that’s probably for the best. For as classy as the Vibe Band VB10 looks—with its slim figure made possible by a curved E-Ink display—it’s far too sluggish and feature-limited. I’m not sure it’d be worth the roughly $89 price tag even if it did land stateside. Like many other smartwatches, the Lenovo Vibe Band puts your phone’s notifications on your wrist, and also throws in some basic step and sleep counting for good measure. 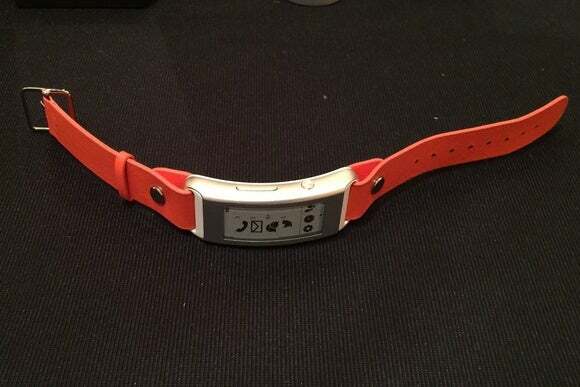 But in a demo at CES, the Vibe Band only showed notifications for missed calls, emails, SMS and Twitter, with no other third-party apps supported. There seems to be no way to expand the Vibe Band’s functionality beyond what comes in the box. The bigger problem is the slow-as-molasses interface, operated by a trio of buttons along the band’s right edge. Pressing the up/down buttons took a second or two to produce a response, and occasionally triggered a white-to-black screen flicker like the kind you get on an old Kindle e-reader. The Vibe Band makes you scroll through several menu options just to read your notifications, so navigating the sluggish interface is a chore. That’s a big problem for a device that’s supposed to be a time saver. Buttons on the Vibe Band’s right side let you scroll through various menu options, though plenty of patience is required. The Vibe Band’s saving graces are its seven-day battery life and stylish appearance, with a narrow body and ultra-thin wrist strap, but it makes some significant performance sacrifices to achieve those traits. While it may be too late to save the Vibe Band—it launches this April in emerging markets like China and Russia—Lenovo should consider simplifying the interface with fewer button presses if it’s going to stick with lightweight smartwatches. 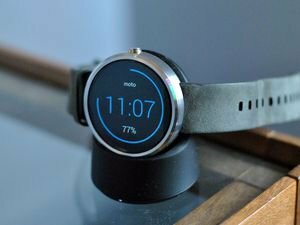 Why this matters: For the U.S. market, Lenovo is leaning on its recent acquisition of Motorola, which already sells an Android Wear smartwatch. Still, it’s worth keeping an eye on Lenovo’s overseas moves. 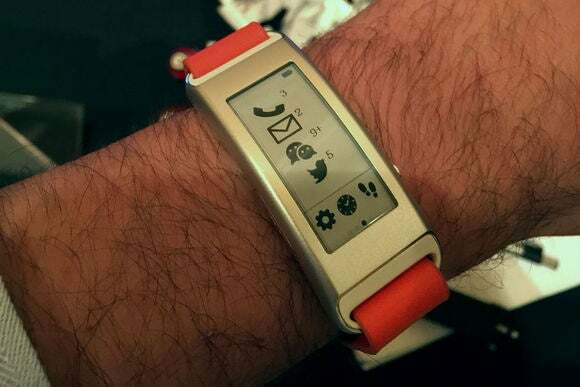 Perhaps the company can learn some lessons from the Vibe Band and deliver a better E-Ink smartwatch stateside down the road.